Today, premier obstacle event company Tough Mudder Inc. and outdoor pioneer Merrell, a division of Wolverine Worldwide, announce a multi-year partnership, introducing Merrell as the presenting partner for global Tough Mudder events. The partnership includes the presenting sponsorship of 60+ global events in 2016, connecting the more than two million Tough Mudder participants with Merrell’s industry-leading and innovative outdoor footwear and apparel that inspires people to seek outdoor challenges and enjoy the outside every day. At the same time, Tough Mudder is also launching a brand new event series, Tough Mudder Half, in addition to it's current events. In the spirit of Merrell’s commitment to bringing outdoor experiences to wide and new audiences, Merrell will also be the presenting partner for Tough Mudder Half. This worldwide event series will bring the mud and obstacles Tough Mudder is known for to a shorter-distance format. “At Merrell, we believe that hard elements shouldn’t harden your spirit, that they should be enjoyed, not defeated” said Jim Gabel, President, Merrell. 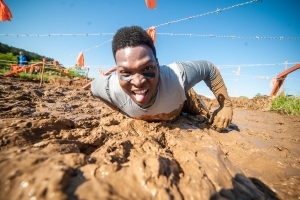 “Tough Mudder shares our vision of wit and grit, and together we are committed to inspiring others to overcome obstacles by eliminating barriers to enjoying the outdoors.” The partnership will unite two brands with worldwide communities of outdoor enthusiasts who value teamwork, fun, unique experiences and physical and mental challenges. We are incredibly excited to welcome Merrell as the presenting partner for global Tough Mudder and Tough Mudder Half events. Tough Mudder is more than it’s a lifestyle based on teamwork, courage, personal accomplishment, and fun, and our partnership with Merrell reflects these shared values. Together we will continue to innovate and improve the event in 2016, and help inspire a new community of Mudders. This partnership comes at a pivotal moment for both companies. Since its founding in 2010, Tough Mudder has established itself as the world’s largest event series, with over two million participants to date. 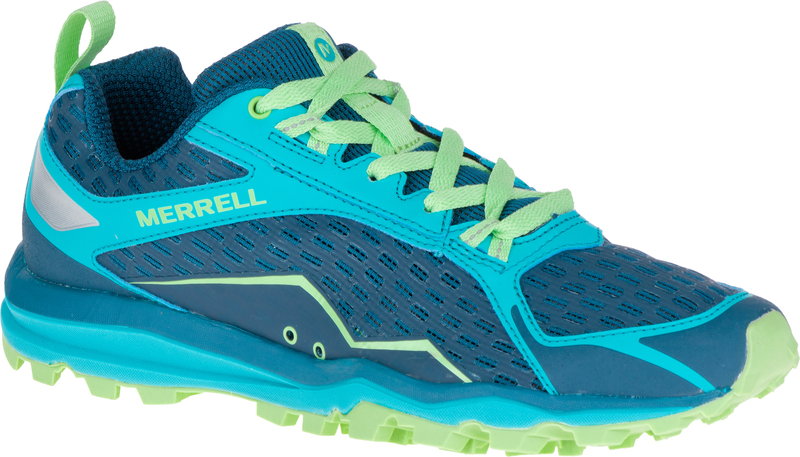 Inspired by the trail, Merrell has been making performance gear for people who love the outdoors since 1981. Finisher t-shirts: Every Tough Mudder and Tough Mudder Half finisher will receive a performance t-shirt celebrating their accomplishment. The lightweight technical tees will feature Merrell’s M Select™ WICK technology to combat sweat and dry quickly -perfect for forging through water, barbed wire, and rugged terrain. On-site Presence: Merrell and Tough Mudder will co-develop a unique obstacle that encapsulates the thrill of the outdoors. Merrell is also planning to enhance the on-site Mudder Village for 2016, which will offer participants the opportunity to engage with each other and with spectators as part of Merrell’s new “Do What’s Natural” brand platform. Gear: Merrell will bring its heritage and expertise in performance gear to the ultimate outdoor event through a line of co-developed gear designed to get Mudders from sign-up to the finish line. 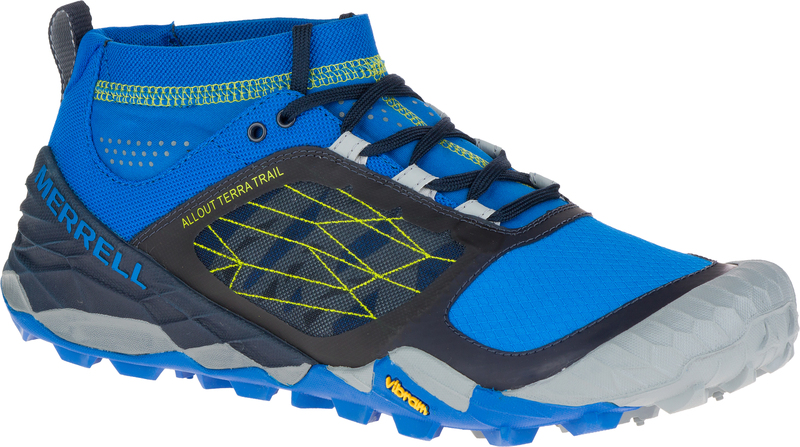 In 2016, Merrell will introduce the Tough Mudder inspired NEW All Out Crush trail running shoe, with additional products to follow. The M Select™ Grip and deep, multi-directional lugs of the All Out Crush shoe provide 360-degree traction while flex grooves release mud to allow the foot to move naturally and help propel on ascents. The TPU mesh coating helps protect you from the elements and allows for easy cleaning of mud and dirt – no more throwing your shoes out after the event. A UniFly™ midsole is soft to the ground to connect and cushion from the terrain for a firm foot and more efficient stride. Giveaways: 50 Mudders who sign up for a 2016 event will also receive a $250 Merrell gift card, equipping them to focus on training and motivating them to conquer their next event. 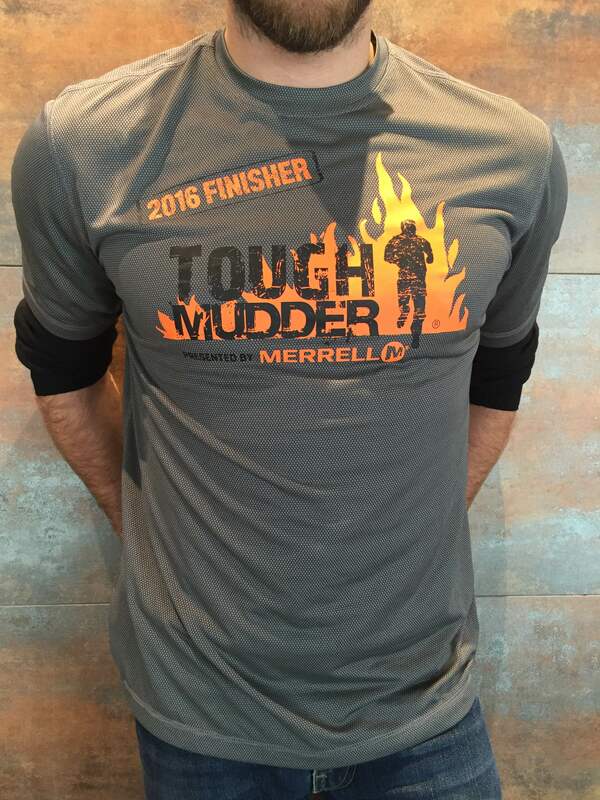 Tough Mudder Half Presented by Merrell. In 2016, the Tough Mudder Inc. family of events will welcome a significant new addition, Tough Mudder Half, with the worldwide events also being presented by Merrell. Featuring a 5-mile course with more than a dozen obstacles, Tough Mudder Half will bring all the mud of Tough Mudder in half the distance. This is an addition to the current Tough Mudder offering. Locations: Tough Mudder Half is launching with nine events presented by Merrell in 2016, including six events in the United States, one in Canada, and two in the United Kingdom, with an option for additional expansion in the second half of the year. For the up-to-date schedule of events and locations, visit toughmudderhalf.com. 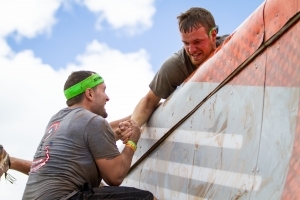 Obstacles: Each Tough Mudder Half course will include a selection of signature Tough Mudder obstacles and an exclusive Tough Mudder Half finish experience. There will be no obstacles including ice, fire, or electricity, but participants will experience plenty of thrills while tackling Tough Mudder favorites including Walk the Plank, a leap from a 12-foot platform into water; Kiss of Mud, a crawl underneath barbed wire; and Everest, a run up a quarter-pipe requiring both speed and teamwork. Finish Experience: At the finish, runners will receive a unique Tough Mudder Half headband, a custom Merrell Tough Mudder Half finisher t-shirt, and an ice cold Shock Top beer (for participants 21+). The Mudder Movement is over. TM try to compete with Spartan. Good luck. Feel sorry for Merrell for cutting a bad deal. I do not believe TM is over. The Spartan series just attracts a different group, or holds a niche within the OCR market, the same as TM holds a niche. TM actually did a brilliant move by doing the 5 mile course. Another smart move on TM’s part is to get returning customers by doing the Legionnaire. I think the bad PR that TM has gotten lately has had less to do with the course itself, but other things, like the gaudy headbands and no longer handing out finisher shirts for that short time frame in 2015.